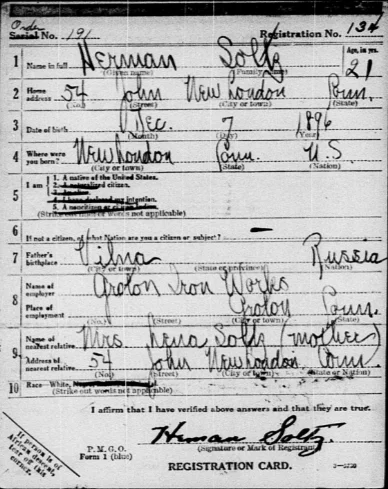 We’ve just added to SuperSearch™ a great collection of United States World War I Draft Registrations, 1917-1918, with over 24 million records. Information recorded varied slightly by registration date but usually included name, current residence address, date of birth, place of birth, age, marital status, race, occupation, employer, citizenship status, and other information about his next of kin. The cards were double-sided with information entered on both sides. The details were usually written in by an official, but the signature or mark was handwritten by the person registering. 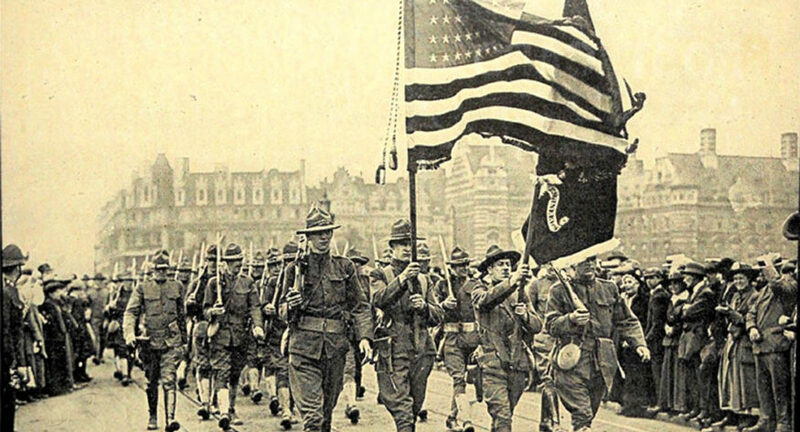 On April 6, 1917, the United States officially entered World War 1 and declared war on Germany. The size of the US Army then was too small to effectively fight an overseas war, and an Act was passed enabling men to be selected, trained and drafted into military service, as necessary. The first step was to register all eligible men. The “first registration” on June 5, 1917, included all men from 21 to 31 years of age. The “second registration” date was June 5, 1918, with a supplemental registration on August 24, 1918, covering those who had recently turned 21. The final registration was on September 12, 1918, for all men ages 18-45, who had not previously registered. By the end of the war, some 2 million men had volunteered for military service and an additional 2.8 million men had been drafted. A draft registration card does not necessarily imply that the individual was drafted or that he didn’t volunteer separately. Charlie Chaplin, the movie actor, was registered in the First Registration. His registration card reveals his full name as Charles Spencer Chaplin, born April 16, 1889, in London. At the registration, he was 28 and living in Los Angeles, California. He is listed as an Alien who had not yet declared his intent to become a citizen. On the back of this card, he is described as of medium height and slender build, with blue eyes and black hair. His Draft Registration card was completed on June 5, 1917. From other records, we know that Charlie first went on tour from England to the United States in 1910 and, in 1917, he became an independent producer in Hollywood. In 1918, he turned his attention to a national tour on behalf of the US war effort. 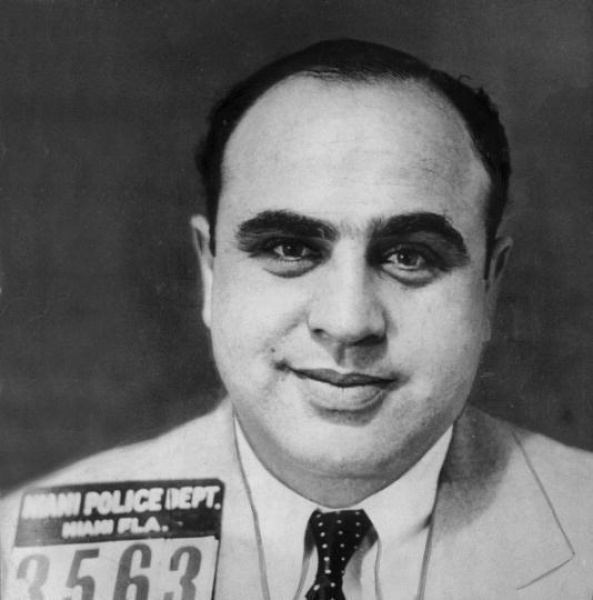 Al Capone, the infamous gangster, was registered in the final registration. The name on his card was Alphonse Capone. He was living at 38 Garfield Place, Brooklyn, Kings County, New York. He was 19, and his date of birth was January 17, 1899. The card shows that he was native-born (i.e., born in the US). His occupation was a Paper Cutter, and he worked for the United Paper Box Company in Brooklyn. His nearest relative was his mother, Theresa Capone, living at the same address. The back of the card describes his height as 5′ 7″ with a medium build, gray eyes and dark brown hair. From other records, we know that Al’s parents were Italian immigrants who had nine children. Some of his siblings worked with him in his criminal empire. Al attained fame during Prohibition as a gangland boss and is credited with ordering the St. Valentine’s Day Massacre (1929) in the struggle to take control of Chicago’s organized crime. In 1931, Capone was charged and convicted of tax evasion. He spent his sentence in various prisons, including Alcatraz, and was paroled on November 16, 1939. When released, he was not in good health and died in Florida on 25 January 25, 1947. Here’s another example that shows how valuable records in this collection can be. This is the registration card of Thomas Soltz. We can see that Thomas was an immigrant from Vilna (then Russia, today Lithuania), born May 11, 1889, who had subsequently naturalized as an American citizen. He was 28 and lived at 38 Mann Street, New London, Connecticut. His was a Physician and was not married. These details allow us to search for further details about Thomas Soltz. When we enter his name into MyHeritage SuperSearch, using the advanced search option to “match name exactly” (both first name and surname), a number of results appear. These include his appearance in the US Federal Censuses of 1900, 1910, 1930 and 1940. Also listed are 12 newspaper articles about him in the Norwich Bulletin newspaper which covered the New London, Connecticut area. One article gives details of his brother, Herman Soltz, who was arrested for reckless driving. From this, it is possible to find a WWI draft registration card for Herman Soltz. This names Herman’s mother as Lena Soltz and knowledge about the family expands. 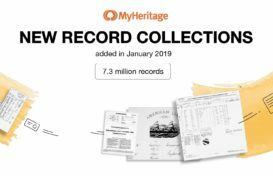 This collection is significant to family historians as it provides key details (including name, address, date and place of birth, citizenship status, next of kin and an actual signature) for more than 24 million male Americans, who were born mainly 1875-1900 and who were alive towards the end of WWI (i.e., 1917-1918). As we can see from the examples above, the cards in this database are a real goldmine. They not only provide information recorded on the card and handwritten signatures but can also open a gateway to further information about the individual and their family during that time. Search the collections of United States WWI Draft Registrations, 1917-1918 today and let us know what you discover! I note that the WW I data base does not currently appear under “Record Matches” sorted by Collections. I wanted to find the WW I records for all the people in my tree; but it does not appear. With a tree of over 10,000 people I would expect at least one to have a record. Has it just not been integrated into that yet? We will soon unleash our Record Matching technology on this collection, and users will automatically receive matches with this exciting collection. Stay tuned!